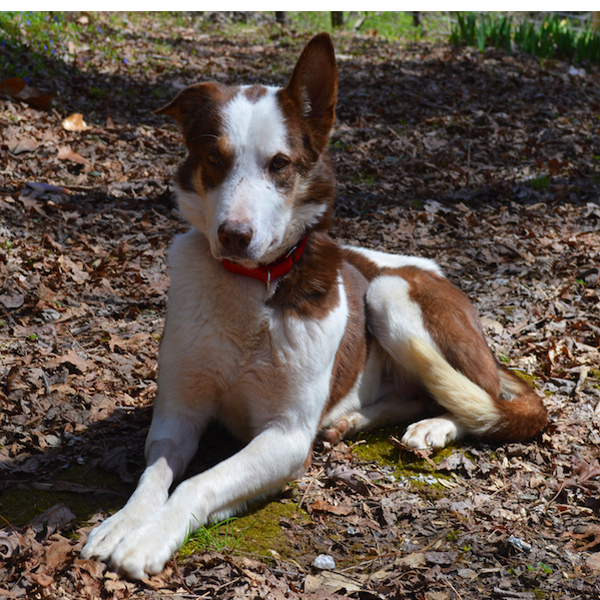 UPDATE: It is official, Buddy is a pure bred Border Collie. 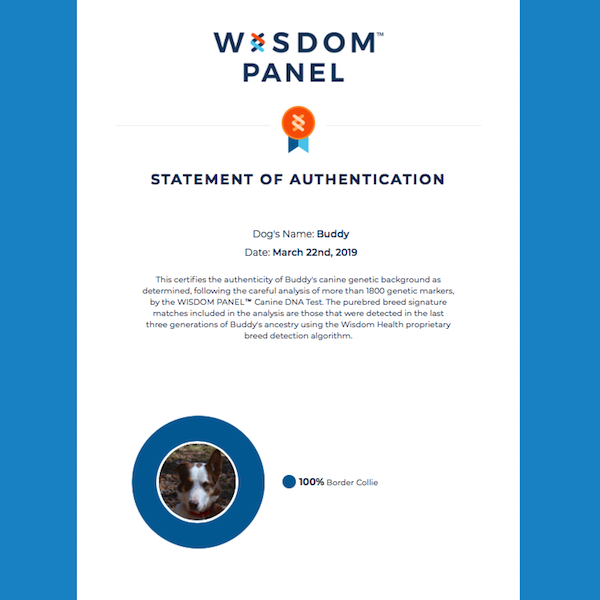 We had his DNA tested by Wisdom Health. Buddy is absolutely the sweetest dog! His life up to now has been horrific – confined to a small, filthy pen in a hoarding situation on an isolated rural property, he managed to survive his first six years and now needs a chance to learn how wonderful life can be. 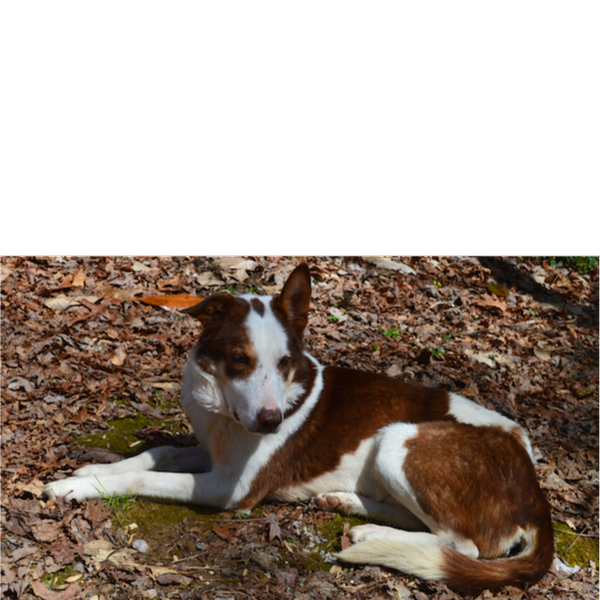 Buddy is a beautiful red and white Border Collie male, 45 pounds. His photos make him appear larger than he is. 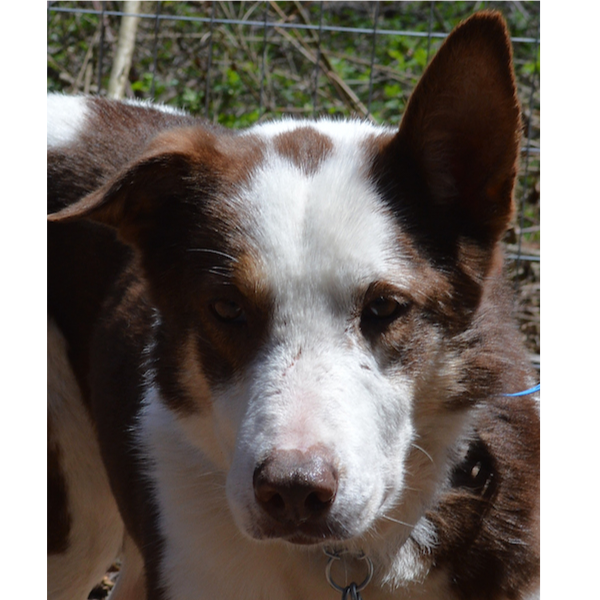 He’s a medium sized Border Collie and is low to medium energy level. He is now neutered, up to date on vaccines, free of parasites, heartworm negative (by some miracle! ), microchipped, clean and comfortable. Many of the dogs rescued from this situation needed major dental work due to chewing on rocks, metal and trash in an effort to survive. Buddy’s dental is done. He had many fractured teeth (10 in all) and these were removed and the remaining teeth cleaned and polished. He is a calm, gentle, non demanding boy. New people and situations worry him a little and he will hang back or turn away, but definitely wants to be near you and loves attention and petting. 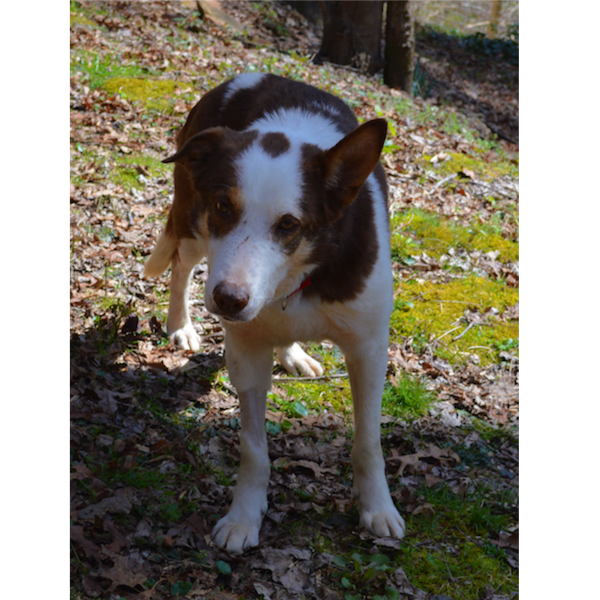 He will need an owner willing to give him a little time and guidance to build his confidence. He is interested in other dogs, and has behaved appropriately with those he’s met, especially dogs who are friendly and quiet as he is. He hasn’t been tested with cats and would probably be fearful of young children. 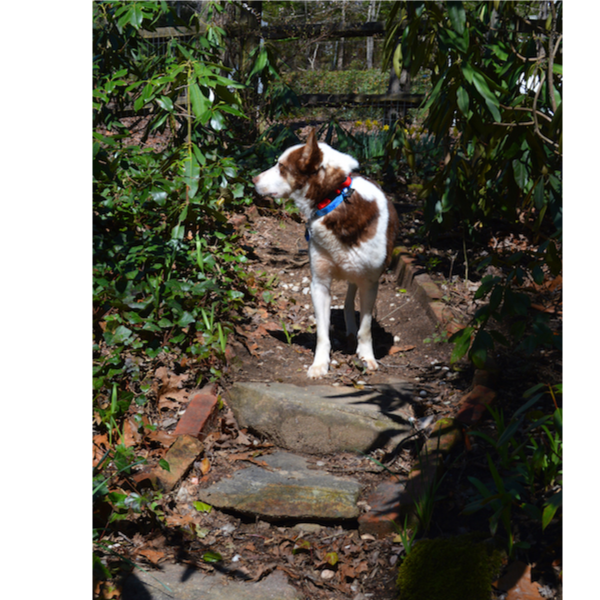 He doesn’t care for car rides (worries and paces – no problem with car sickness that I know of), but a few trips for hiking or other adventures might improve his attitude. Buddy is a spectacular leash walking companion. From day one, he has enjoyed four to five mile walks with his foster mom and behaves beautifully on the leash! In the house, he has been quiet and has had no bathroom accidents indoors since his second day (did mark the first day – to be expected as he was intact when he arrived). Off leash in our fenced backyard, he is a velcro boy, wanting to remain close by your side, only venturing off to do his business in a more private location. Because of his lack of experience with the world, he will need to be eased into the chaos of normal daily life and may prefer to be a homebody. At this point he’s not a go-everywhere happy-go-lucky guy, but very much appreciates the comforts of home and would love a person of his very own. With a little time and positive experience, Buddy will make a terrific best pal for a lucky person! If you have submitted an adoption application to CBCR within the last three years and you have not moved, please contact the foster parent before submitting another application.